Sometimes, you just need to get away for a weekend. And when it comes to “getting away,” few places have as much to offer as Big Spring. Nestled in a rocky gorge just northeast of Midland, Big Spring serves up an utterly compelling mix of small-town charm and a few big-city luxuries. Whether you’re looking to indulge at an upscale hotel, breathe in the fresh air of West Texas, or catch some live music at a really cool venue, there’s more than enough here to fill up your weekend. See just a few possibilities below and plan your next visit here. What’s a weekend getaway without staying somewhere amazing? Originally opened in 1930, Hotel Settles is both a luxurious hotel and a local landmark towering high above downtown Big Spring. The hotel’s timeless elegance and distinctly West-Texan charm is apparent everywhere you look, from the lobby to your room or suite. 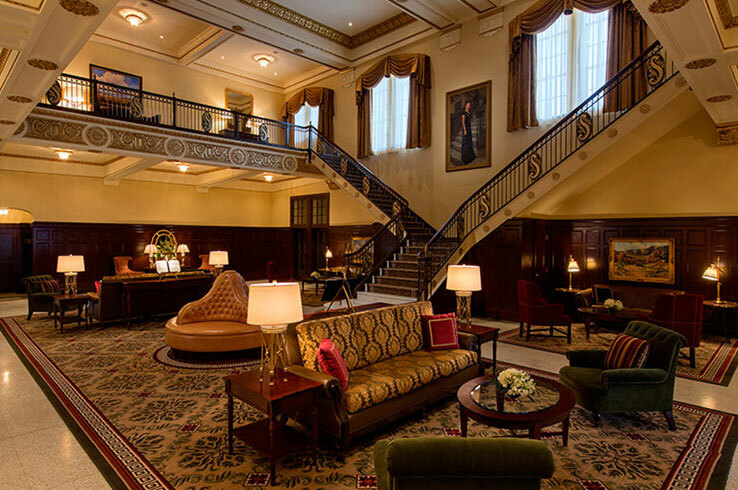 Speaking of which, Hotel Settles offers units ranging from its cozy Heritage Rooms restored to the 1930’s floor plan to the 1,400-square-foot Presidential Suite that features a spacious living area, oversized tub, and a separate steam shower. As comfortable as the rooms are, the hotel has much more to enjoy. Go for a swim in the outdoor swimming pool and hot tub (rent a cabana if you want to spoil yourself), unwind in the spa, and work up a sweat in the fitness studio complete with top-of-the-line Precor machines, ellipticals, and free weights. Whenever your appetite says “howdy,” step on over to the Settles Grill, where mouthwatering West Texas comfort food is on the menu for breakfast, lunch, and dinner. For bar bites and post-dinner drinks, the Pharmacy Bar & Parlor is the place to be. Kick back in the relaxed lounge area, order something from the extensive beer, cocktail, and wine menus, and end your evening listening to talented local musicians play the day out. Tour Texas Tip: For a spectacular view of Big Spring and beyond, opt for the Sunrise or Sunset Terrace rooms, east and west facing suites (respectively) with spacious outdoor balconies perfect for catching the start or end of the day. Melt-in-your-mouth buttermilk pancakes served with a side of bacon and eggs, grilled sirloin steaks, and piping-hot pizzas. Oh yes, all these things are on the menu here in Big Spring. 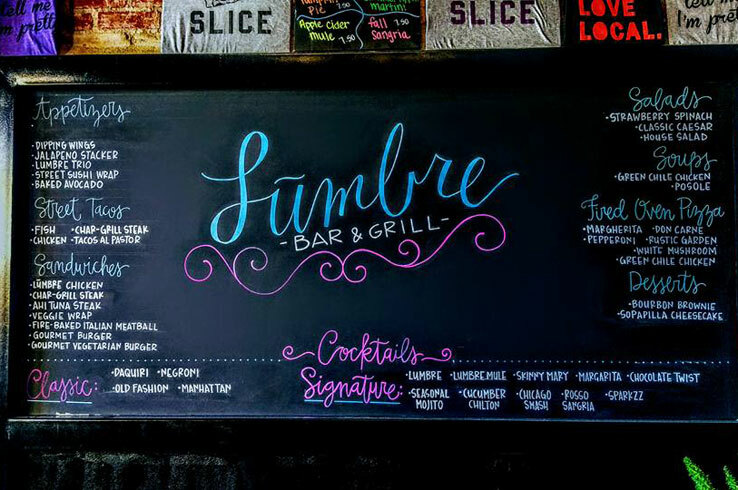 You'll find the greatest variety of eats at Lumbre Bar and Grill. The restaurant’s menu features everything from street tacos to hamburgers and pizzas, as well as an enticing selection of craft beer. For good old-fashioned barbecue, look no further than Al's & Son Bar-B-Q. A Big Spring institution since 1964, this joint cooks up brisket, sausage, chicken breast, and other meats. Pair it with the “best potato salad in the world” and you can't go wrong. In the mood for a hearty steak? TJ's Steakhouse serves up premium filet mignon, ribeye, sirloin, and t-bone steaks along with halibut, salmon, hamburgers, and sandwiches. With so many great places to eat, you’ll want to bring your appetite to Big Spring. Just because the sun sets over Big Spring, it doesn’t mean the day is over. Downtown Big Spring is home to three bars and live music venues popular with locals and visitors alike. Located within two train cars, The Train Car Cigar Bar is one of the most unique places you’ll find anywhere in the Lone Star State. Pick out a cigar or something from the bar and settle in to the patio to listen to a local musician do his or her thing. Then make the short walk down to The Desert Flower Art|Bar & Lounge, a quirky spot where you can admire art, sip on a glass of beer or wine, and check out a show on the weekends. 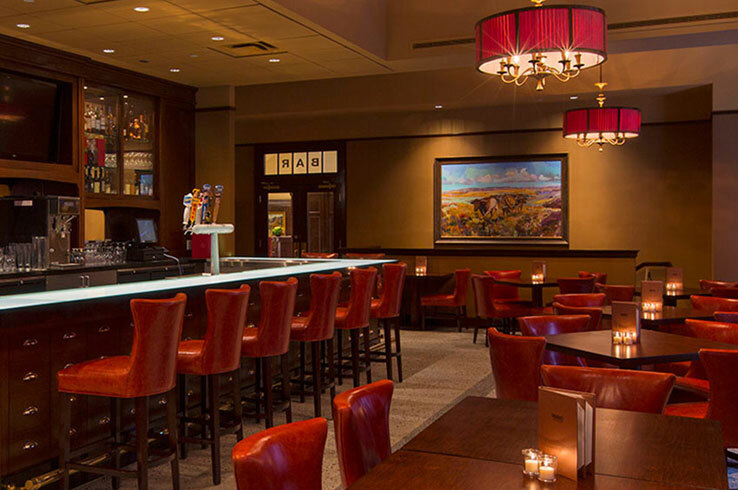 The Pharmacy Bar & Parlor in the nearby Hotel Settles provides a more upscale place to hang out once the sun sets, and you don't have to be a hotel guest to stop by. Big Spring sits within a verdant stretch of West Texas, where the Rolling Plains, Edwards Plateau, and Llano Estacado converge. As such, there is a great variety of flora and fauna here, which you can see for yourself when you explore the outdoors. Hike the nature trail and jog or drive along the road that winds along the outer edge of Big Spring State Park, from where you can take in a spectacular view of town in the distance. There’s even more to do at Comanche Trail Park, a 400-acre oasis with a 6,900-seat limestone amphitheater, tennis courts, two 18-hole disc golf courses, hiking and biking trails, and a lake. 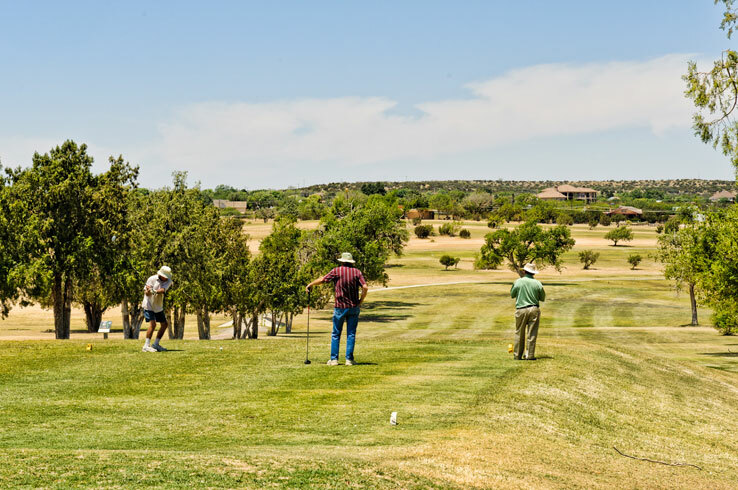 Check out the historic spring from which Big Spring derives its name and play your way through the Comanche Trail Golf Course. This 18-hole, 6,576-yard course meanders over rolling hills that provide scenic views aplenty, while the abundance of sand traps will test your precision. No matter how you enjoy being outside, Big Spring has something for you. Big Spring has been an oasis for as long as people have been in West Texas. The town sprung up around a watering hole, and later grew thanks to the arrival of the Texas & Pacific Railroad and its own oil boom. Go for a stroll through local history at the Heritage Museum of Big Spring, where you’ll find vintage firearms, historic phonographs, and exhibits related to the railroad. Continue your historic tour at The Potton House, a fine example of turn-of-the-century architecture that was once the residence of Joseph Potton, an early town leader and master mechanic of the railroad. If you’re a fan of historic aviation, the Hangar 25 Museum is a must see. 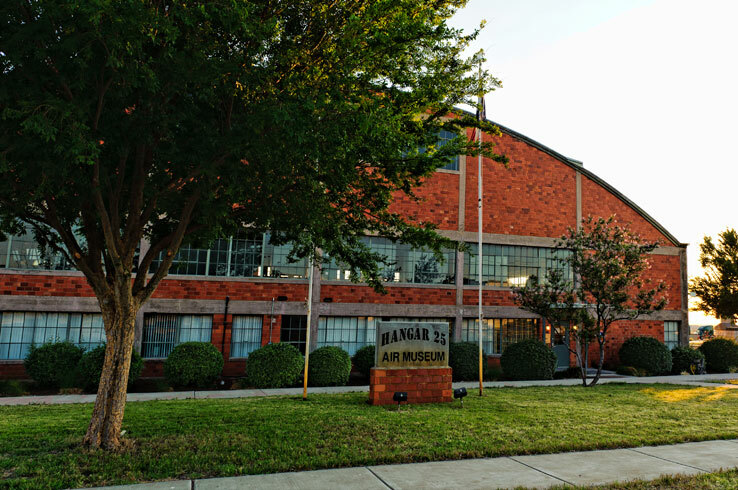 The museum sits within the former Webb Air Force Base, where bombardier pilots in training honed their skills during World War II. Step into the briefing room and check out the memorabilia before admiring the vintage aircraft in and outside of the hangar, including the nose of a B-52 and a F-100F, the first American fighter capable of supersonic flight. While all of this is enough to keep you busy for a weekend, there’s more. The Hall Center for the Arts is the cultural center of Big Spring. Located on the campus of Howard College, it hosts theater and dance productions, art exhibits, and film screenings. Of course, there’s far more you can squeeze into one weekend here in Big Spring. But thanks to its small-town charm, luxurious hotel, and diverse set of things to see and do, you couldn’t ask for a better place to get away.